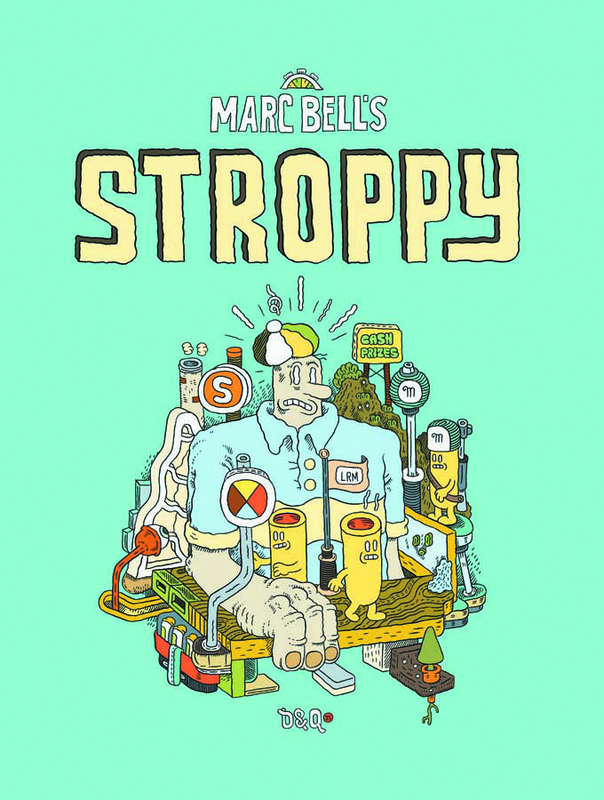 The first full length graphic novel from the author of Shrimpy & Paul. Hapless hero Stroppy minds his business, working a menial job in one of Monsieur Moustache’s factories, when a muscular fellah named Sean blocks up the assembly line. Sean’s there to promote an All-Star Schnauzer Band-organized songwriting contest, which he does enthusiastically, and at the expense of Stroppy’s livelihood, home, and face. In hopes for a cash prize, Stroppy submits a work by his friend Clancy The Poet to the contest. Mishaps and hilarity ensue and Stroppy is forced to go deep into the heart of Schnauzer territory to rescue his poet friend.